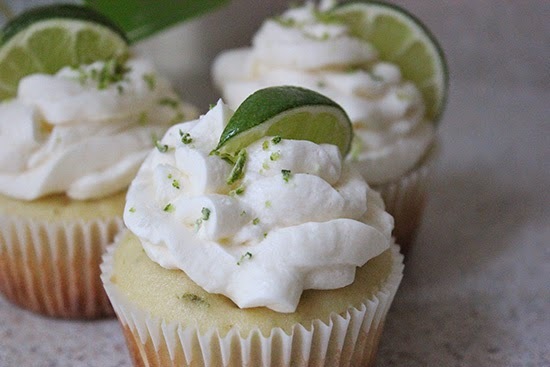 I made Margarita Cupcakes for Cinco de Mayo, but did not have a chance to share photos or the recipe since I was in the middle of my 40 Days of DVF series. Since today is Mexican Independence Day, I thought it would be a good idea to share the recipe for these. It might inspire you to make them to enjoy them after a Taco Tuesday dinner tonight. 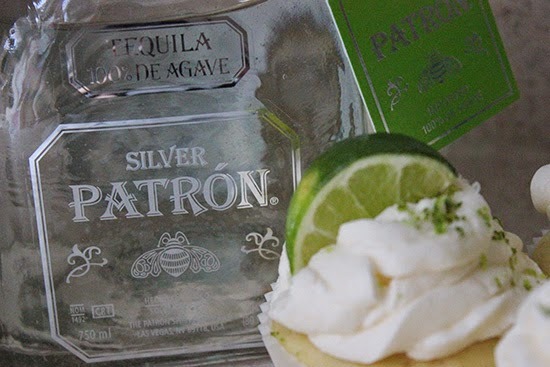 I wanted to make cupcakes using good tequila so that I had an excuse to add another bottle to my bar cart. 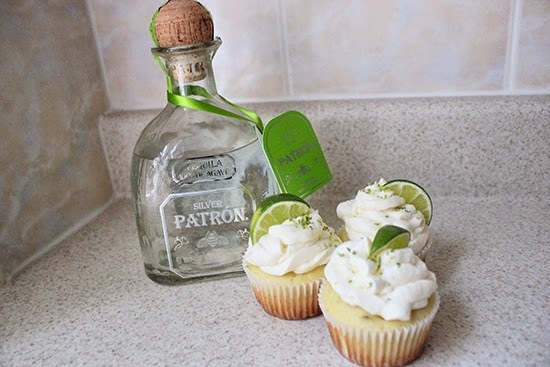 A lot of the recipes I found online and in my books had margarita cupcakes made without tequila though, which made me think they don't typically come with Tequila. 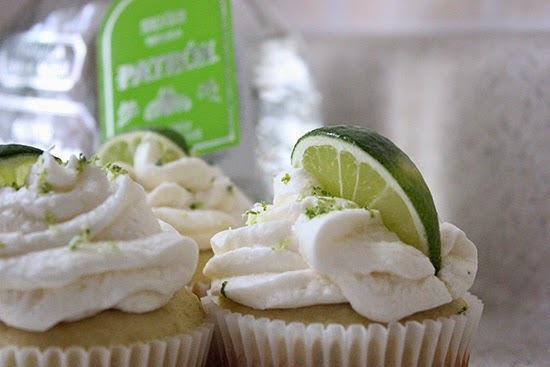 I stumbled upon this great Margarita Cupcake recipe by the Brown Eyed Baker, and she was just as disappointed with other recipes since they didn't have booze. 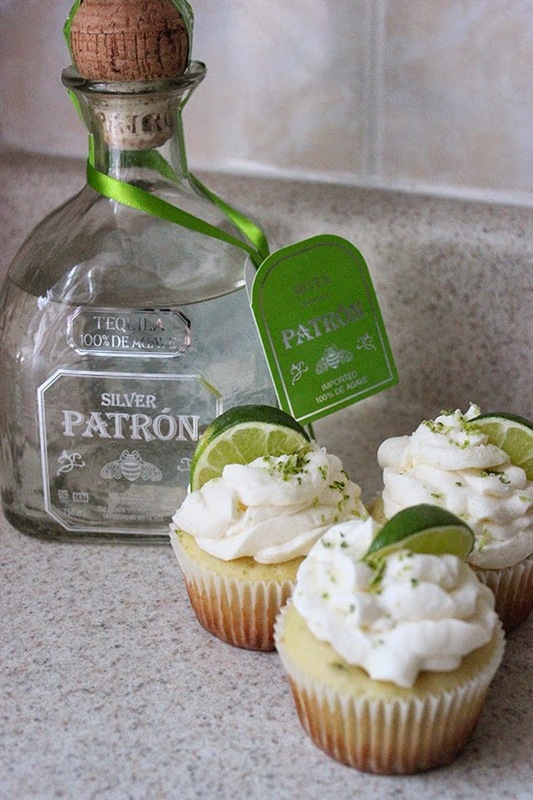 So she came up with a recipe that includes tequila in not just the cupcake, but also in the frosting! While most alcohol bakes off, the trick to having these taste like tequila is brushing on some while the cupcakes are cooling off. 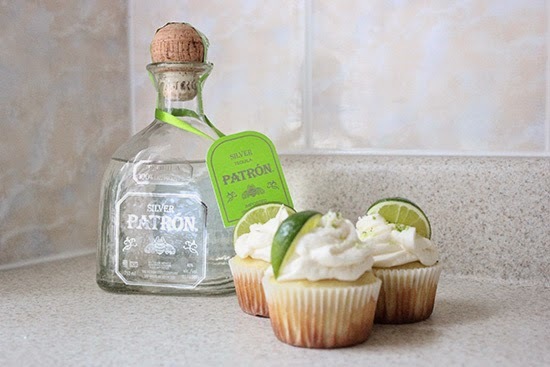 Of course, you can always omit tequila from the recipe, but here are the ingredients and directions for making some really boozy cupcakes. I used Silver Patron Tequila, but it is not necessary to use the same tequila. However, it is recommended to use a Blanco (silver/white) tequila for this recipe. Now let's get to baking! 5. Scrape the sides of the bowl and add the lime zest, lime juice, vanilla extract and tequila. Mix until combined. (The mixture may start to look curdled at this point, but don't worry, it will all come back together.) If you omit the tequila, you don't need to add anything else in its place. 9. To make the frosting, whip the butter on medium-high speed of an electric mixer using the whisk attachment for 5 minutes. Reduce the speed to medium-low, and gradually add the powdered sugar, mixing and scraping the sides of the bowl until all is incorporated. Give it a mix on medium speed for about 30 seconds. Add the lime juice, tequila and salt mix on medium-high speed until incorporated and fluffy. If you prefer frosting without tequila, add 1 tablespoon of vanilla extract to the frosting instead. If the frosting appears a bit too soft, add some additional sugar, one spoonful at a time until desired consistency is reached. 10. Frost cupcakes and garnish, if desired, with lime zest, an additional sprinkling of sea salt and a lime wedge. I bought about 4 limes for zest and garnish and did not use any of mine for the juice. Instead I bought a bottle of lime juice and put in about 2 tablespoons. If your lime juice is concentrated, use a little less since it might be too strong. And there you have it! Hope your cupcakes come out looking as pretty (and tasty) as these. My coworkers thought that these really tasted like margaritas thanks to the tequila and sea salt. They are the perfect treat at the end of a warm day, and you don't need it to be Cinco de Mayo or Grito de Dolores (Mexican Independance Day) to enjoy these.